The appropriately titled “Splinter” is a car with a frame entirely handmade out of wood. 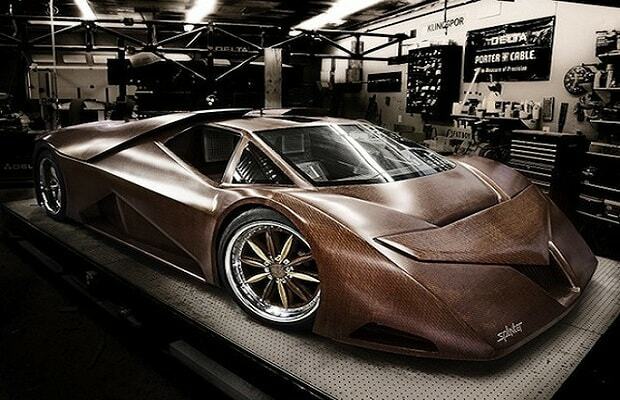 Employing twin supercharged 4.6litre v8 engine, the wooden whip can put up 700bhp, more than a Porsche or a Lamborghini. The Splinter can reach speeds of up to 240 mph and go from 0 to 60 mph in just over 3 seconds. Designer Joe Harmon claims that the wood used is said to have a higher strength-to-weight ratio than aluminum or steel. We recommend you keep some tweezers in the glove just in case you crash the supercar and get an actual splinter.